← Chant and be happy! Maha Shivaratri is a Hindu festival celebrated annually in reverence of the god Shiva. It is the day Shiva was married to the goddess Parvati. The Maha Shivaratri festival, also popularly known as ‘Shivaratri’ or ‘Great Night of Shiva’, marks the convergence of Shiva and Shakti. 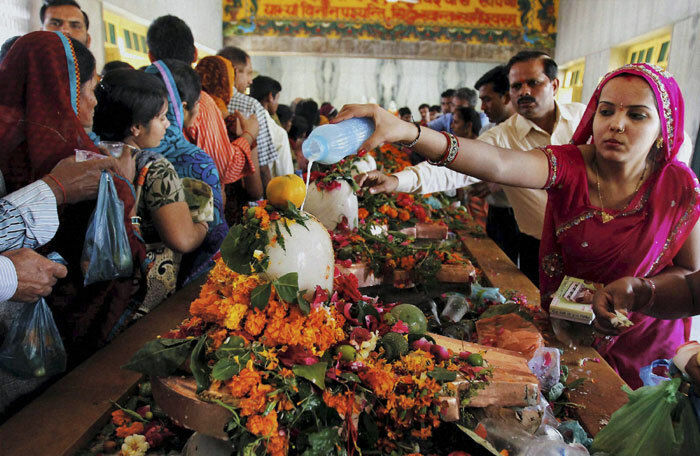 The festival is principally celebrated by offerings of Bael leaves to Shiva, all-day fasting and an all-night-vigil (jagaran). All through the day, devotees chant “Om Namah Shivaya“, the sacred mantra of Shiva. Penances are performed in order to gain boons in the practice of Yoga and meditation, in order to reach life’s highest good steadily and swiftly.